have become quite the trend throughout the years. Mini spaces filled with fun and imagination! We have fairies, houses, doors, furniture, sets, theme sets, accessories and mini plants (when in season of course) to help make your mini garden magical! Stop in and take a look at our inventory. We are always looking for energetic people with a friendly attitude and farm experience. You should probably be able to lift heavy stuff too! If the doors are closed, it's because it is cold outside! 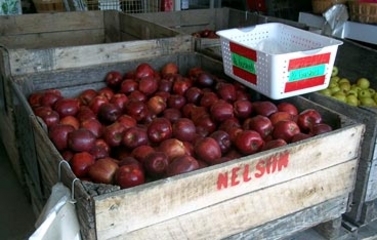 This website and its content is copyright of Nelson's Farm Market - © Nelson's Farm Market 2014. All rights reserved.